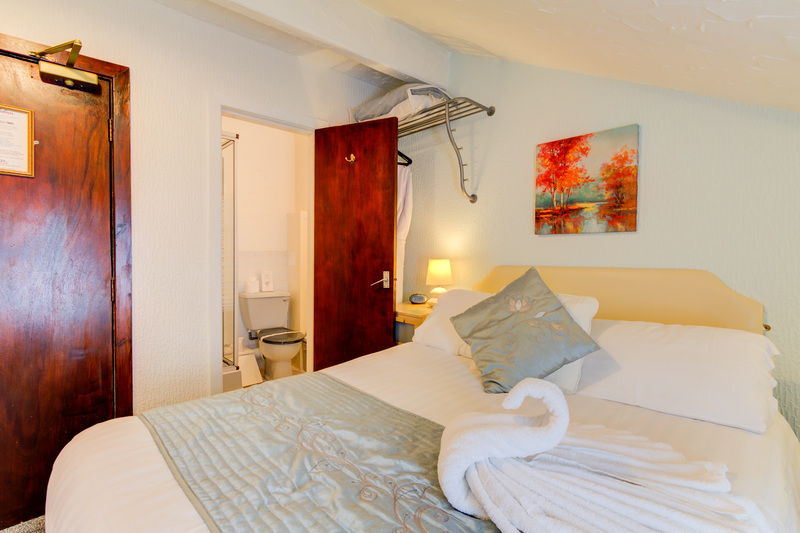 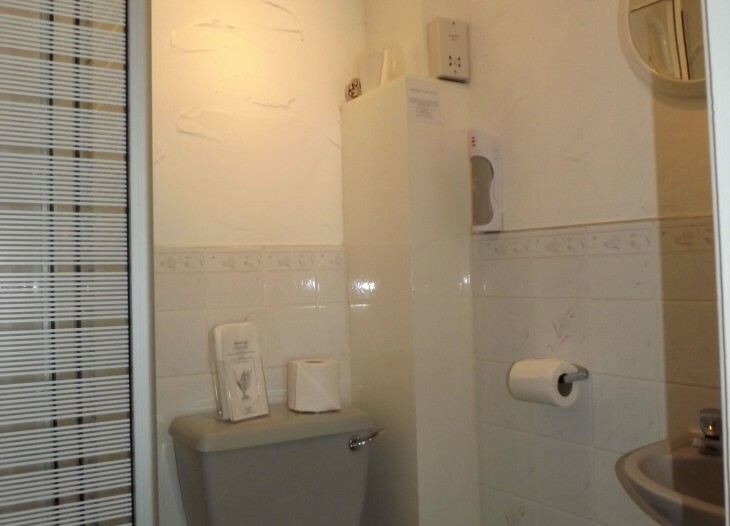 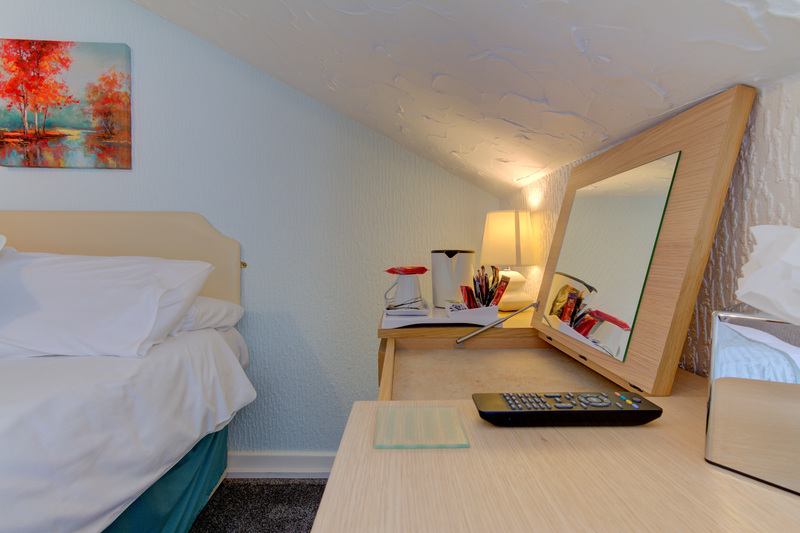 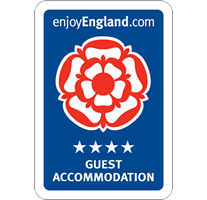 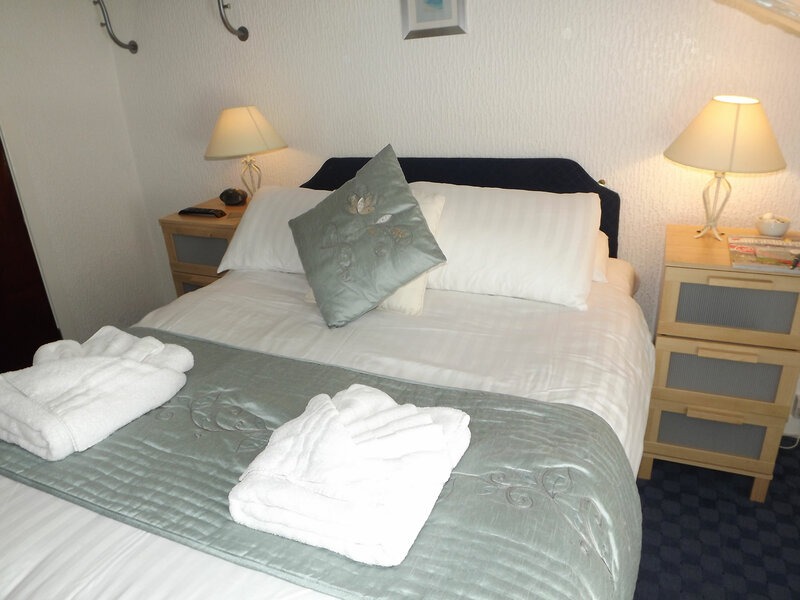 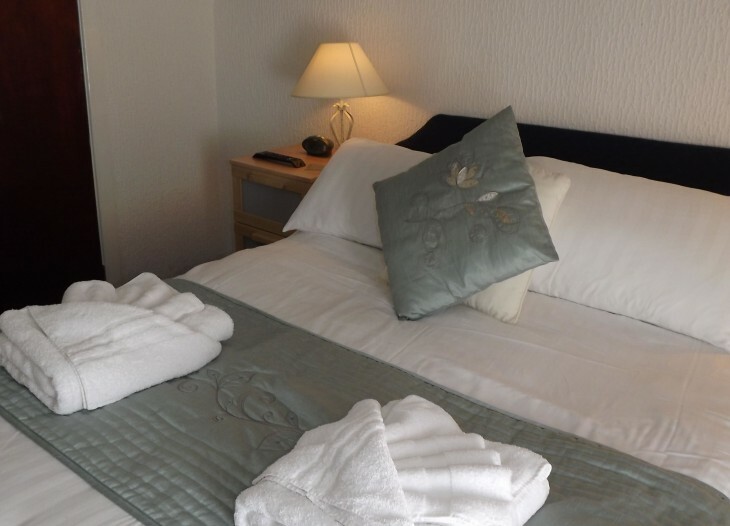 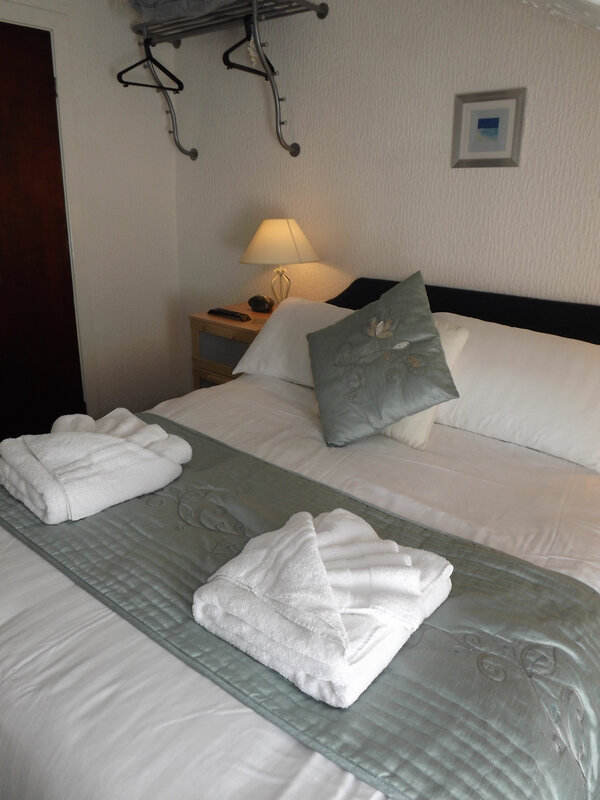 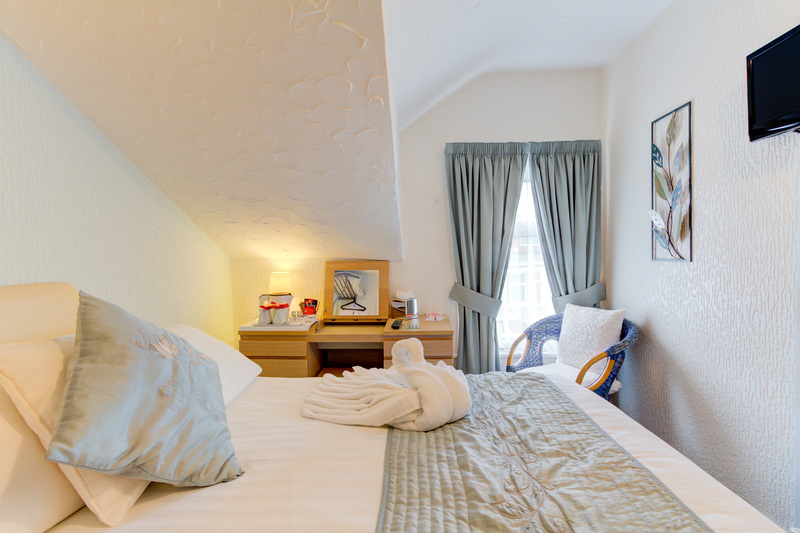 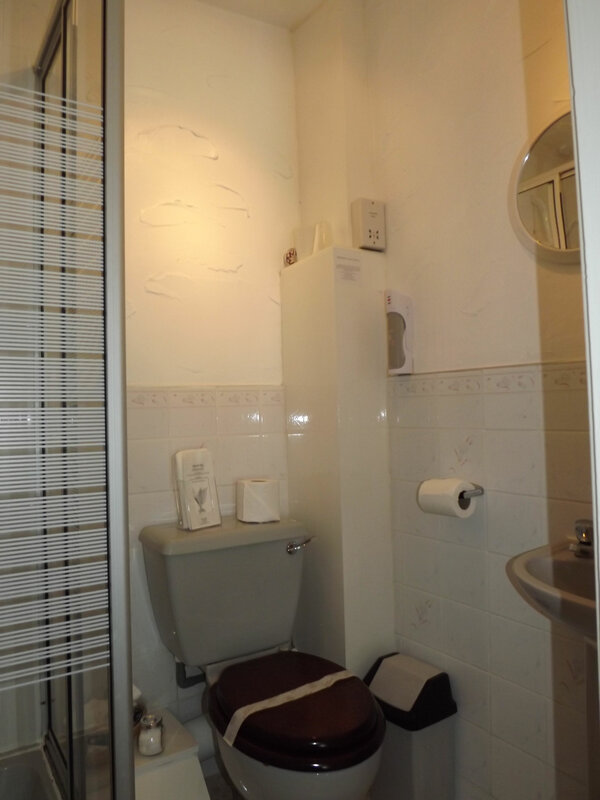 At the Strathdon guest house, Blackpool we pride ourselves on the cleanliness and comfort of our standard double room. 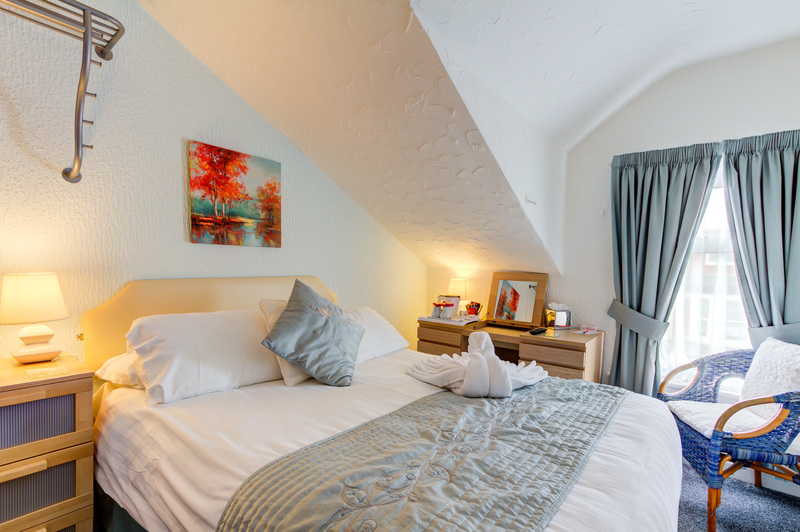 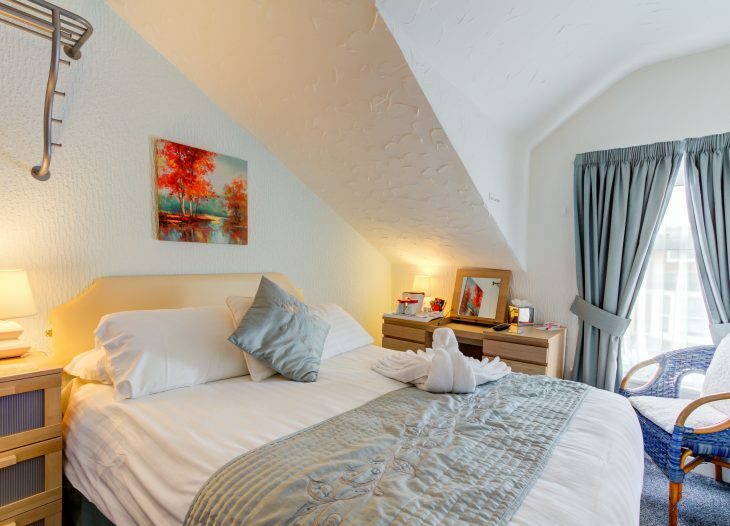 The standard double room is a lovely room situated at the front of the guest house, with views of St Chads Road; winners of Blackpool in Bloom street of the year 2011/2012 and you can experience the natural character of this victorian built guest house with the slopping ceiling. 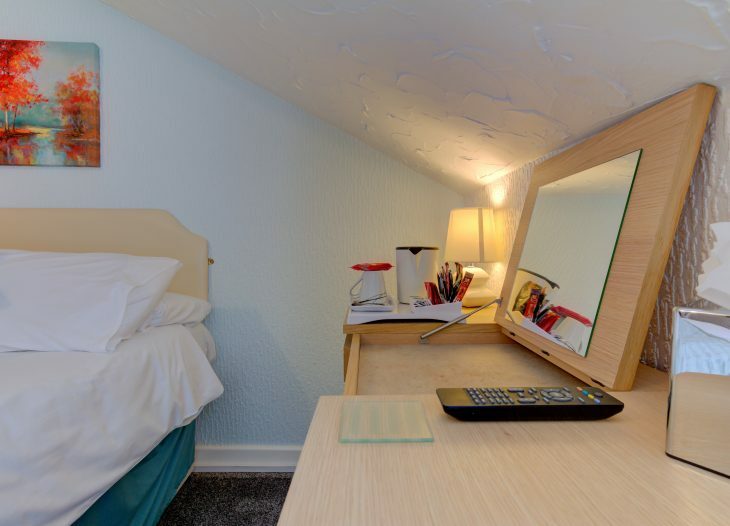 Please note the ceilings look a lot lower on the picture to what they actually are. 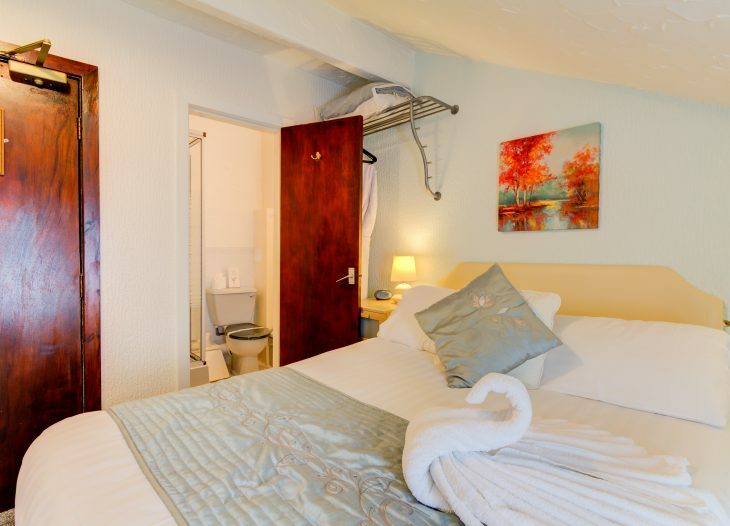 The standard double room is a good sized room which has been tasteful decorated. 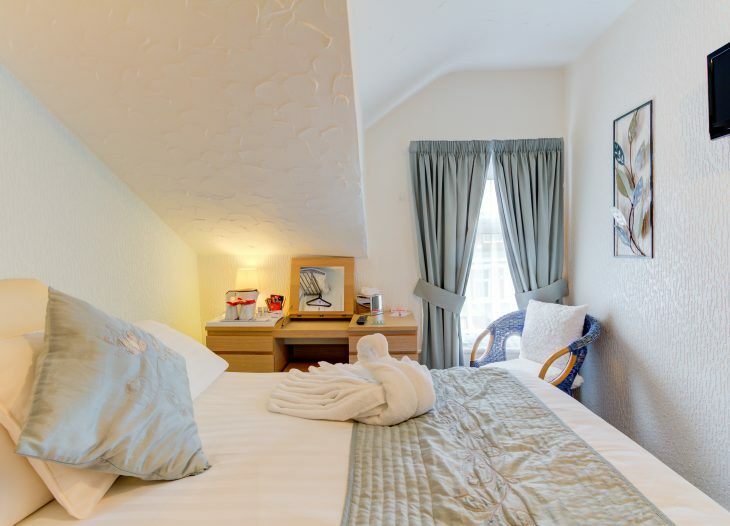 The standard double room comes with a comfortable double bed, hanging space, bedside units with draws, chair, TV with freeview, plus a large en-suite shower room. 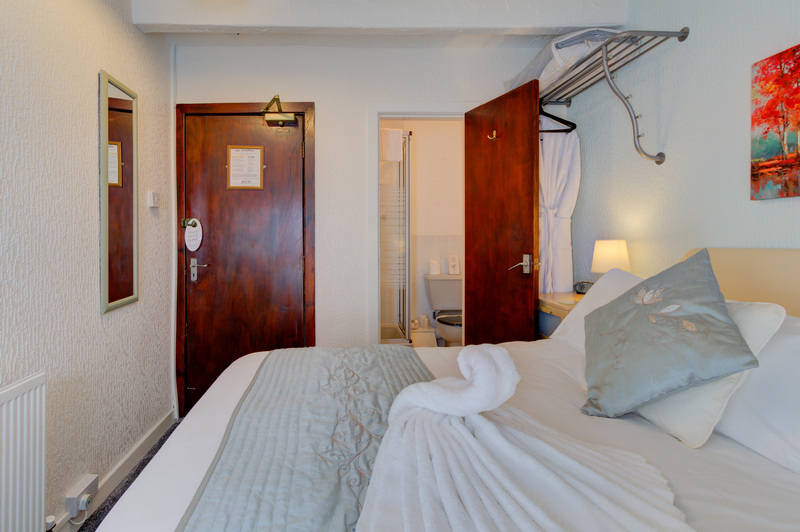 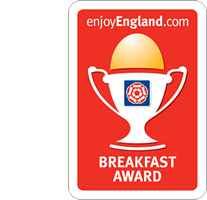 When booking the standard double room online or over the phone, breakfast is including in the price; this entitles you to choose an option from the breakfast menu which will be available on your table when you come down for breakfast between 9:00am and 9:30am (unless stated otherwise).